Pensacola (/ˌpɛnsəˈkoʊlə/) is the westernmost city in the Florida Panhandle, approximately 13 miles (21 km) from the border with Alabama, and the county seat of Escambia County, in the U.S. state of Florida. As of the 2010 census, the city had a total population of 51,923, down from 56,255 at the 2000 census. Pensacola is the principal city of the Pensacola metropolitan area, which had an estimated 461,227 residents in 2012. Pensacola is located at 30°26′13″N 87°12′33″W (30.436988, −87.209277), on the north side of Pensacola Bay. It is 59 miles (95 km) east of Mobile, Alabama, and 196 miles (315 km) west of Tallahassee, the capital of Florida. 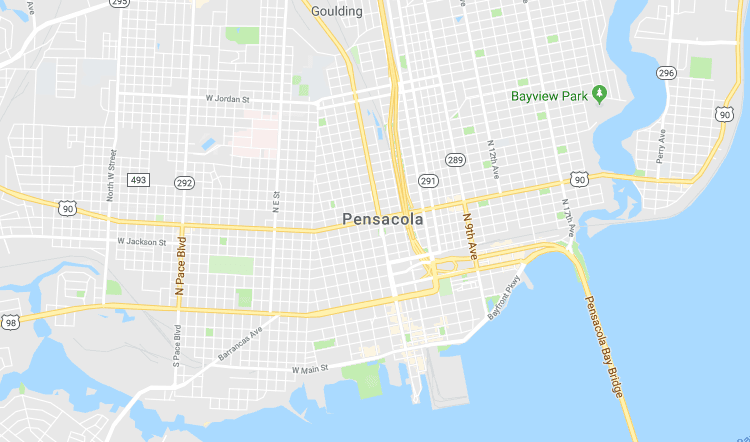 According to the United States Census Bureau, Pensacola has a total area of 40.7 square miles (105.4 km²), consisting of 22.5 square miles (58.4 km²) of land and 18.1 square miles (47.0 km²), 44.62%, water. As of the census of 2010, there were 51,923 people, 23,600 households, and 14,665 families residing in the city, and 402,000 people in the Pensacola MSA. The population density was 2,303.5 people per square mile (956.8/km²). There were 26,848 housing units at an average density of 1,189.4 per square mile (459.2/km²). The racial makeup of the city is 66.3% White, 28.0% African American, 2.0% Asian, 0.6% Native American, 0.1% Pacific Islander, 2.3% from two or more races. 3.3% are Hispanic or Latino of any race. Bio-One services all types of trauma, distressed property, and biohazard scenes in communities throughout the Pensacola Area. We partner with local authorities, communities, emergency services personnel, victim services groups, hoarding task forces, apartment complexes, insurance companies and others to provide the most efficient and superior service possible.